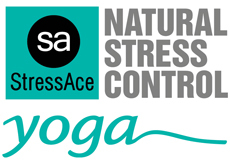 StressAce Yoga immediately relieves stress and builds lasting and natural stress control. It is a specialized yoga that gives us the confidence to face life’s challenges by lowering our stress levels. With a combination of traditional yoga practices with StressAce, a body and mind technique for reducing stress, StressAce Yoga is a powerful antidote to stress. Too much stress can be harmful to health and may lead to stress symptoms, such as tension, pain, irritability, insomnia, headaches, low immunity causing coughs and colds, depression or addictions. 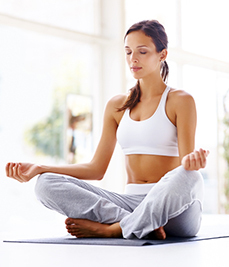 StressAce Yoga can assist to prevent the negative effects of stress. Experience deep relaxation with a special combination of breathing, movement, mental activities and sensory exercises for vision, hearing, balance, muscle tone and touch. StressAce Yoga exercises are gentle and easy to do, even for beginners. Join Dr Ella MacDonald for StressAce Yoga classes in Memphis Tennessee, USA. All classes require a reservation. Classes kept small for personal attention. “I have practiced yoga and meditation most of my adult life and they all are good, but if I stop practicing the stress comes back. We are currently seeking new StressAce Yoga instructors in your area. Would you like to join us? We have training programs for qualified yoga instructors. Level 1 gives you the facts – learn about the research, theories, applications, advantages and benefits of Affect Regulation Therapy, the method that underpins StressAce Yoga. Level 1 is a 12 hour online audio lecture program that can be completed in your own time. In Level 2 you master the practical skills of StressAce Yoga. You learn to use StressAce Yoga with your students, so they may get the immediate benefits of stress release. Level 3 teaches you more advanced skills to assist students who attend yoga classes regularly for longer periods and who wish to work at a more indepth level on personal development.